Having set this project online it has been four months since I have posted anything. It has been a strange few months during which words have remained locked inside and they still are to an extent. One thing I missed was presenting at the ‘Health and Wellbeing through Occupation conference https://microsites.bournemouth.ac.uk/oseconf/ However the quilt was displayed without me which was a first. More will come on that too…. Meanwhile though words would not come I was able to contemplate through sewing. The project I have been working on is to cover our old and very tatty sofa. 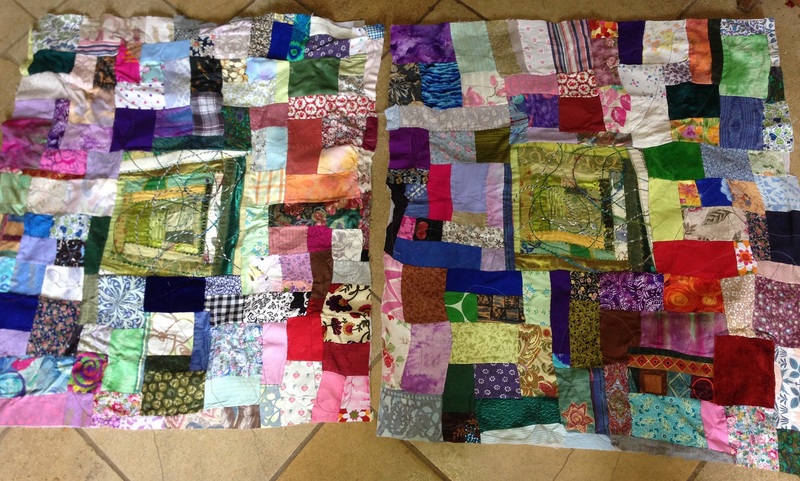 I have obtained some various unfinished quilts from online and charity shops and these are being upcycled with pieces from my stash of material to become the sofa cover. 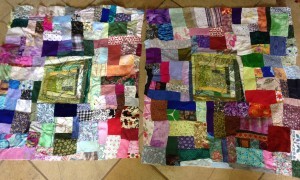 There is something sad for me about unfinished quilts that I intend exploring later as these are incomplete stories. A bit like my incomplete stories here.